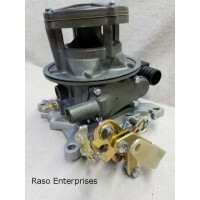 Welcome to the Raso Enterprises Store. We have LPG and CNG injection conversion products for a wide variety of applications so contact us if there's something you need but don't see. We're using OpenCart e-commerce software and it doesn't always let us know when an order has been placed. Often, we're first notified of a sale via PayPal. If you've placed an order but haven't gotten a response from us within a day or two, use the Contact Us link to let us know. When placing orders, please use the most economical shipping option. We strive to ship as soon as we can but cross-border shipping is not always as quick as it can be. For custom parts, the our aluminum costs have significantly increased and we regret to have had to increase our prices accordingly. 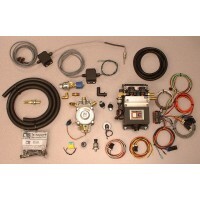 Ford 240/300 Intake Manifold Heater Kit This product is designed .. 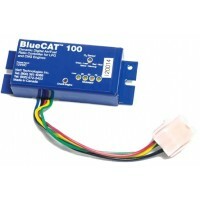 The Nett Technologies' BlueCAT™ 100 is an advanced electronic air/fuel ratio controller for LPG .. This product has been updated with new features.Stay tuned for more information!Have a diesel but th..